If your last Facebook Ad didn’t reap the desired results, it probably wasn’t shown to the right people. 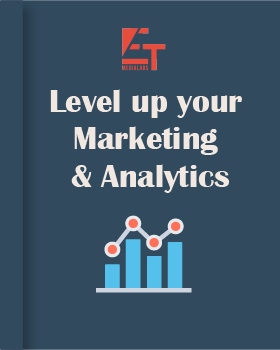 In order to bring in conversions, you need to get over the mass marketing tactics and focus precisely on the targeted audience. Before setting up the budget for your campaign, make sure you have set up your ideal customer to target. 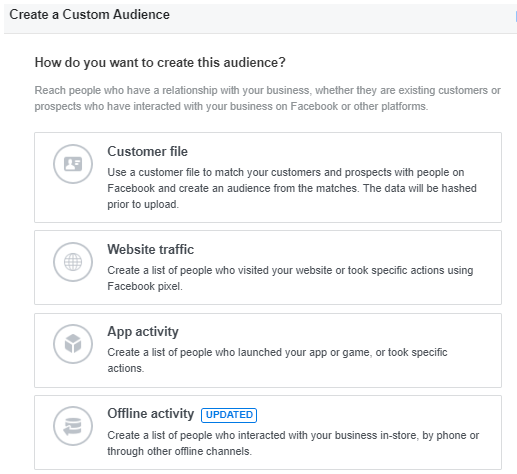 Custom targeting on Facebook allows you to create a unique and flexible solution based on your objective. 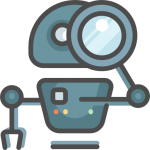 Further, it lets you define your own criteria which eventually helps you improve the conversion by setting up the right ad for the right person. Here’s how you can create a custom audience, that’ll grow your revenue. With your ads help your business find the people who will love it. This is the type of audience can be defined on the basis of location, gender, age, language, interest, behavior, and demographics. It is a built-in feature which allows the advertisers to pre-build (save) an audience for repeated use. You can narrow down both the audience and targeting options helping you decrease your audience size and create niche audiences. Saved audiences can be created on both the campaign setup phase and audience manager. 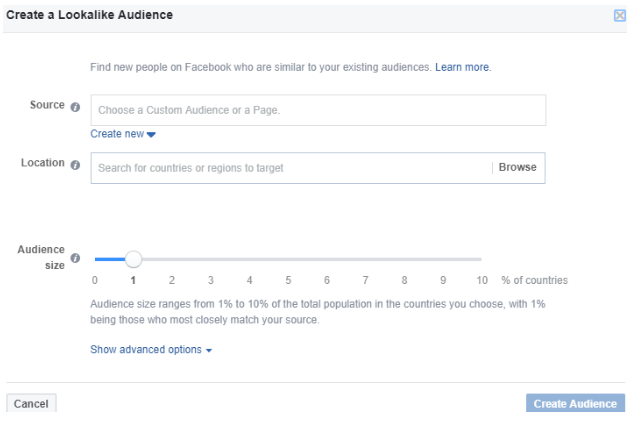 How to Create a Saved Audience on Facebook? Click on Create Audience → Saved Audience. Select your customization age, gender, location, language, detail targeting → Create Audience. This is the type of audience you mostly need when retargeting the ads. Any audience that has previously engaged with the website, content or the app can be a custom audience. It helps you foster the existing relationships and drive sales by targeting. This is one of the most valued audience as there is no restriction on the size, behavior, or demography. 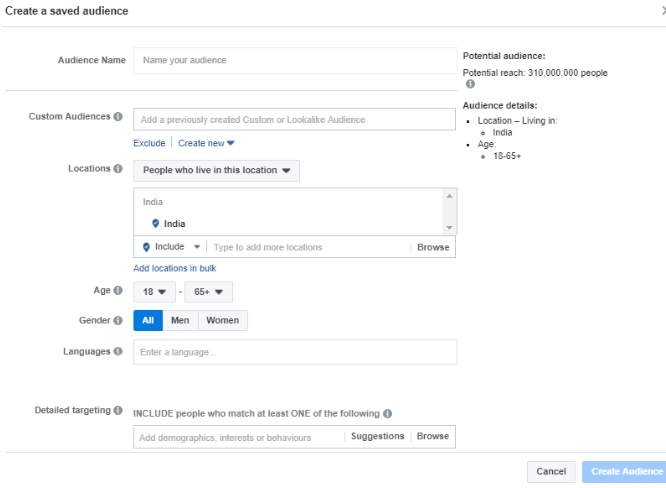 How to Create a Custom Audience on Facebook? There are multiple ways to create a custom audience based on their engagement type. However, the most popular ways are by using customer file, website traffic, and app activity.Click on Create Audience → Custom audience. 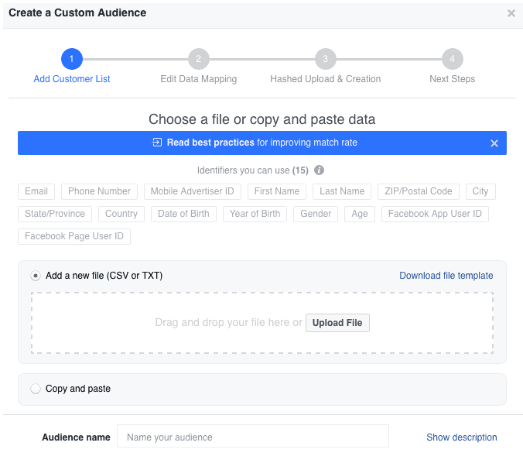 Creating Facebook Custom Audience Using Customer FileYou can use existing customer file from your CRM (name, email id, phone number) for creating the custom audience on Facebook. These are the people who have engaged with your website in the past 180 days. 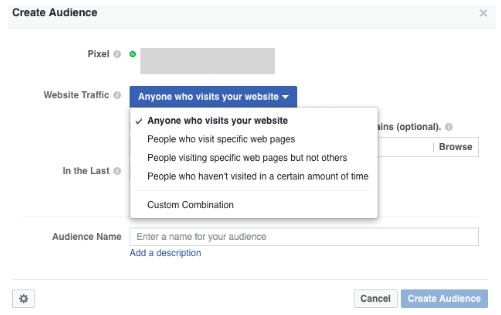 For an audience with website traffic, you need to install Facebook Pixel first. These are the people who have engaged (taken an action) with your mobile app before. But before that, you need to register your app and set up app events. This is the type of audience which shares similar interests as your existing base but is not part of it. The probability of these people converting is relatively higher. 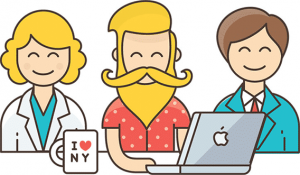 It is necessary to have a custom audience before creating a lookalike audience. This can be done with insights from Facebook. The importance of lookalike audience is that it is a fast and effective way to connect and allows your business to reach those who are more likely to buy the product. You can find all the audiences (Saved, Custom, and Lookalike) in the audience section of an ad set by clicking on “Use a Saved Audience”. Facebook Audience type is a powerful tool. It helps you show your ads to the people who are most likely going to care about your product. The importance of audience selection is that it allows a business to reach a consumer who would like the product. In the long run, not only this brings more ROI and lower CAC, but better strategic marketing decisions as well. We offer Facebook ad targeting and performance monitoring. Check out our services and contact the experts now.